One router just isn't cool anymore. Everyone who's anyone has released a mesh router system that uses multiple APs to blanket spaces with wireless coverage. TP-Link, which made the first OnHub device for Google, has now released its own mesh router system called Deco M5. It will compete directly with Google Wifi, Netgear Orbi, Eero, and others. As with other mesh systems, the Deco bundle comes with three small, stylish routers. They have a neat spiral design here. It doesn't seem to do very much that's different than the other mesh routers on the market. It supports dual-band AC1300 with a top speed of 400Mbps on the 2.4GHz band and 867Mbps on the 5GHz band. There's an app you can use to monitor and control the network as well. Deco includes a number of features we've seen before like smart routing for your data across the network, parental controls, and the ability to expand your network with additional hubs. TP-Link points to the built-in antivirus protection as one of Deco's defining features. The PR actually makes a rather big deal of it. The AV powered by Trend Micro can intercept malicious files, quarantine infected devices, and actively prevent intrusion of your network. However, it's only free for three years. After that you have to pay a monthly subscription if you want to keep using it. The Deco M5 system is available now for $300 on Amazon and other retailers. BREA, Calif.--(BUSINESS WIRE)--TP-Link®, a leading global provider of consumer and business networking products, today announced the availability of Deco M5 Whole-Home Wi-Fi Systems. Deco M5 is a mesh networking solution that provides seamless wireless internet coverage and comprehensive security via TP-Link HomeCare. With built-in antivirus and malware protection powered by Trend Micro*, Deco M5 provides a truly secure whole-home Wi-Fi system. Currently available as a three-unit multi-pack, Deco M5 Whole-Home Wi-Fi systems may be purchased from leading entertainment and lifestyle retailer, HSN and other retailers online and in stores. Equipped with TP-Link HomeCare, Deco M5 systems offer an impressive line-up of built-in security features. TP-Link HomeCare provides exploit and malware protection, powered by Trend Micro*, along with an SPI firewall, device access control and secure remote control of the network via the TP-Link Deco mobile app, ensuring that your home network is always safe and secure. 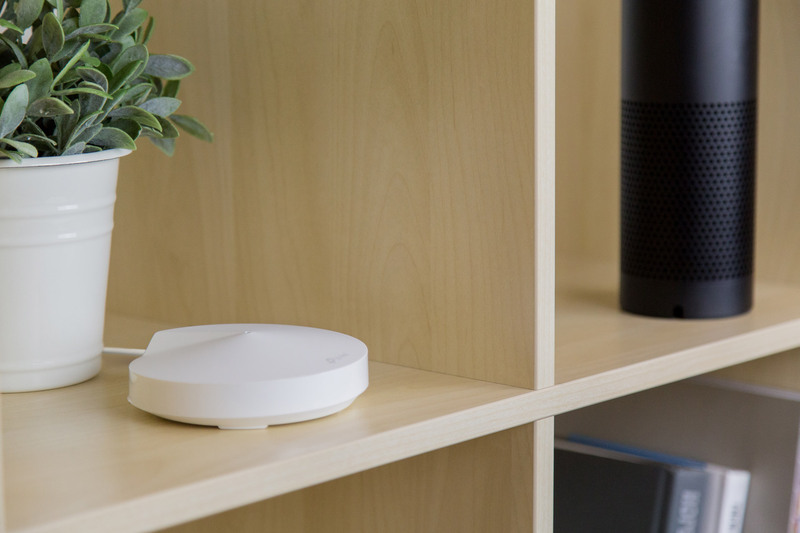 This network security protection safeguards every device in your home safe from malware and hackers, while security patterns provide peace of mind that your family is always protected from the latest threats. Robust parental controls allow you to manage and monitor access of network services, regardless of applications or URLs, for children by time allowance, even when you’re not home. Monthly usage reports are automatically sent to your phone to keep you apprised of activity on your network. Powered by a quad-core processor, Deco M5 Whole-Home Wi-Fi Systems deploy the latest mesh technology to paint your home in Wi-Fi. The dual-band AC1300 system is capable of throughput speeds of 400Mbps on the 2.4GHz band and 867Mbps on the 5GHz band, and it supports MU-MIMO data streaming. Deco M5 is comprised of a system of three units that can be customized to fit your WI-Fi coverage needs, up to 4,500 square feet. With additional units, the Deco M5 system can easily scale up to accommodate even larger spaces. Up to ten Deco M5 units can be added to a single network at any given time for seamless Wi-Fi coverage across incredibly large spaces. 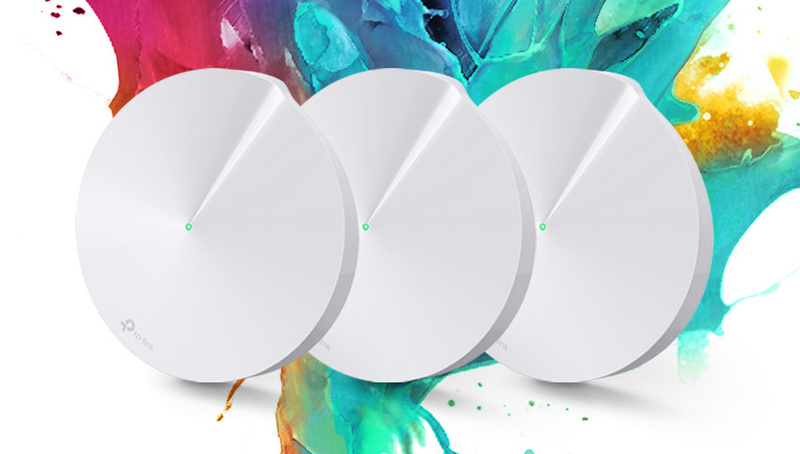 Deco M5 utilizes TP-Link’s Adaptive Routing Technology (ART) to ensure your network is always operating at top speeds, quickly identifying and selecting the fastest path for your devices to connect to the network. This intelligent selection removes the guesswork from reliable connectivity. Deco M5 also optimizes connections between devices to deliver the very best in coverage and ensure you receive the strongest performance throughout your entire home at all times. With Deco, you also have the ability to control how bandwidth is used, making it easy to prioritize services and devices for heavy-bandwidth tasks such as HD video streaming, online gaming or video chats. Plus, with its flexible configuration and intuitive set-up process, creating your mesh network at home is simple. TP-Link’s Deco mobile app, available for Android and iOS, allows consumers to easily set up whole-home Wi-Fi coverage in minutes. With step-by-step instructions and visuals, TP-Link’s Deco app guides you through the entire setup process. The TP-Link Deco M5 Whole Home Wi-Fi System is now available at HSN and other leading retailers in store and online with an MSRP of $299 (USD) for a three-pack system.